Last summer I tested a couple of rolls of Arista Edu Ultra 200 (widely rumored to be a re-brand of Foma Fomapan Creative 200) from Freestyle Photographic. First impressions were good and I ordered a 100 foot roll for further testing… And here it is, a year, later, and I am finally getting to it. 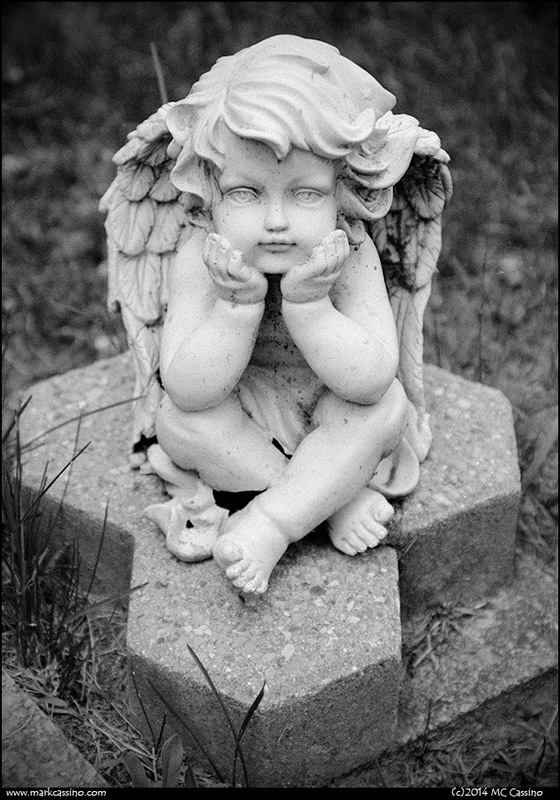 This is a quick shot of a mortuary statuette taken in northern Michigan. I really like this film! Pentax Mz-S, FA 28-105 f4-5.6 zoom, Arista Ultra 200, Rodinal 1+50 for 10 minutes (20C). This entry was posted by mcc and is filed under As Found.